BANGALORE: In the last weeks of December and in the first weeks of January, complimentary calendars from banks and retail shops start coming in. City Express takes a look at the calendars of&nbsp; season 2012. Some calenders managed to make big waves and some silently found its niche consumers. The euphoria surrounding the Kingfisher calendar each year makes it a must-have calendar on the celebrity radar. NDTV Good Times aired a reality show on the model hunt for Kingfisher calendar raising the level of curiosity for the calendar. Atul Kasbekar, Ujjwala Raut and Milind Soman were the judges for the show, that garnered many eye balls. Meanwhile, the making of Mantri Calendar for 2012 too was a show be itself. Pratham Books organised a painting competition for children to create awareness on the importance of nature and environment. The paintings were eventually incorporated in Mantri’s “green calendar”. 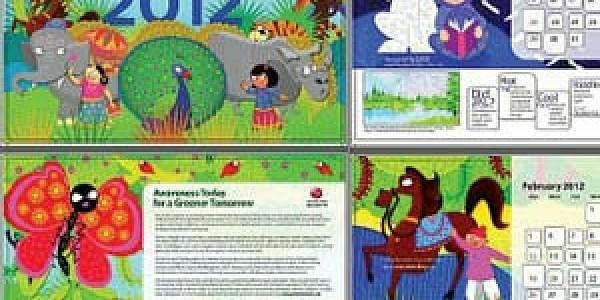 Traditional calendars like Hindu calendar, lunar calendar, Islamic calendar, and lunisolar calendar are replaced by wallpaper calendars, thanks to technology. It is easily downloadable and available in various categories like business calendars, nature, animals, actors, sports, motivational, inspirational, spiritual calendars, photography, children, movie calendars, humour, royal wedding calendars. But, of course, it always comes down to whether the calendar shows your festival dates correctly and of course remind you of your close friend’s birthday.